Monaco is ablaze with yellow tulips at the moment. The Casino gardens are full of them and here too - in Avenue des Beaux-Arts - outside Dior. 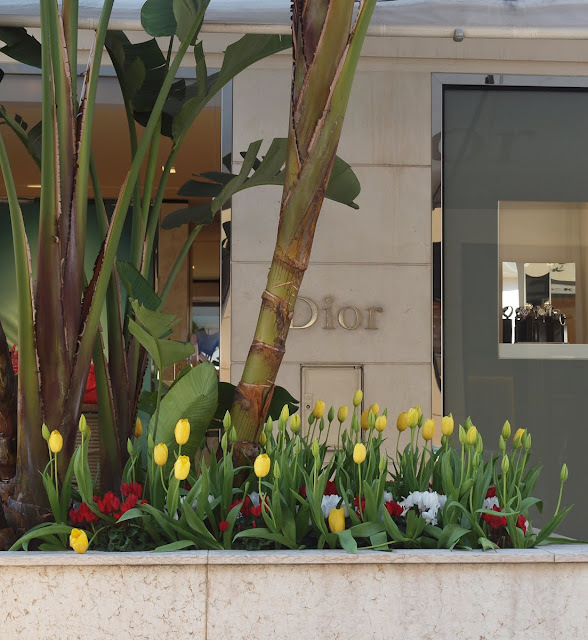 How very beautiful- I love this pic with the stylish Dior Boutique in the background.